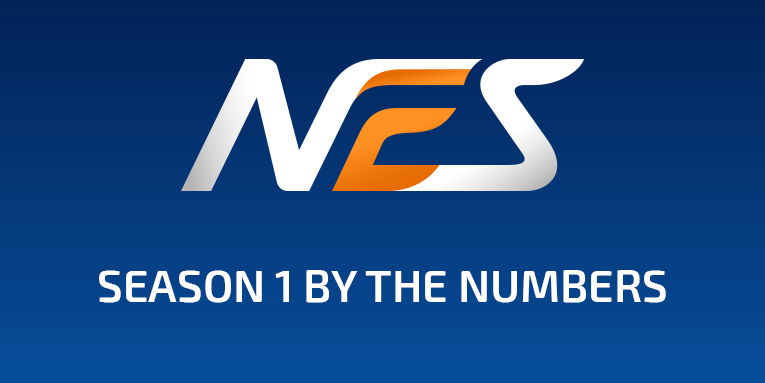 With NEO Endurance Series Season 1 completed, we thought we would take a look at some additional numbers and perhaps get a bit wiser. For the ordinary numbers of standings and championship points head over the the Standings page. 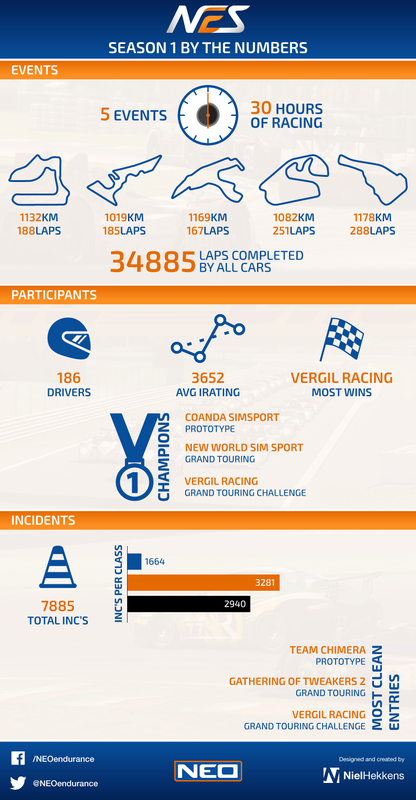 However in this article we will take a look at the performance of teams regarding number of incidents and number of penalties – all combined from the season 1. 34885 laps have been completed in all fives races. 7885 different types of incidents took place. Drivers average iRating was 3.652. A prize pool of $1,688 was split between the top 8 teams in all three classes. We will now take a look at a ratio of total number of incidents versus total number of laps driven. We separate the three classes because of diversity in speed. Note that a larger number of incidents may be because of taking avoid action outside the track and that the numbers don’t necessarily reflect bad driving behavior. The charts are sorted by Laps per incident. 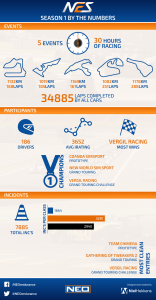 From the numbers it seem that Prototype cars are generally less involved in incidents as their ‘Laps per inc’ is generally higher than the other classes. We won’t investigate why in this article but bear in mind that the faster classes do more laps than slower classes over the same time span. Nonetheless it’s worth mentioning Coanda Simsport #11, Gathering of Tweakers #66 and Vergil Racing #77 as they are the most “clean” teams in their classes. Most teams have been very clean overall, while a few teams still can improve on their performance in the next season. Being clean while still getting most points in the classes we find Coanda Simsport #11 in Prototype, New World Sim Sport #50 in GT and The Dart Frogs #88 in GTC.